To celebrate 2019, the year of the Pig in Chinese astrology, Lalique created the pig sculpture. 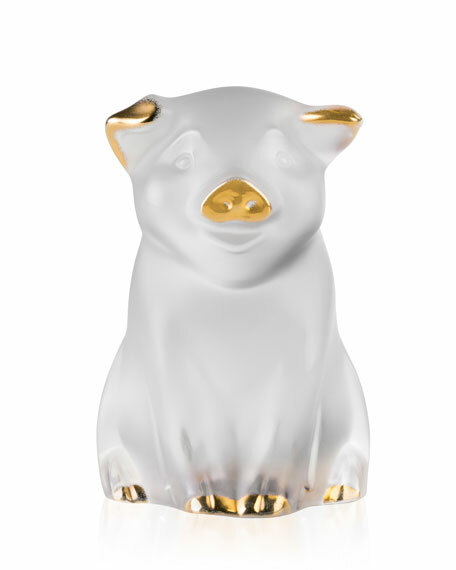 The pig enriches Lalique's bestiary as a symbol of luck, wealth and loyalty. The darling sculpture is accented with hand-painted 24-karat gold enamel. Hand-painted with 24-karat gold enamel. 2.5"W x 2.8"D x 4"T.